March 2nd, 2018 nor'easter battering the Northeast. It was one of four nor'easters in March/April! Punxsutawney Phil revealed his predictions for the rest of winter back on Groundhog’s Day in February. By seeing his shadow, he expected 6 more weeks of winter. Although not a degreed Meteorologist, considering he is only an animal, the prediction was not that far off from what actually happened! 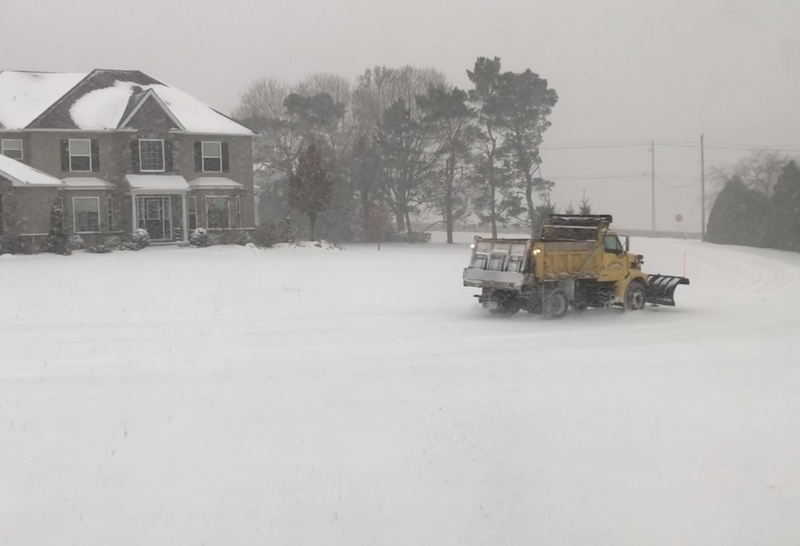 During the months of March and early April, parts of the east coast were hit with four nor'easters, each one bringing a sleu of heavy sleet and snow. These systems were notable, as they occured within weeks of each other. They also brought damaging wind gusts, which brought down multiple trees and left hundreds of thousands without power. The hurricane season of 2018 actually got off to an early start, with Tropical Storm Alberto forming at the end of May. It wasn’t until the month of August for storm activity to really begin to ramp up. 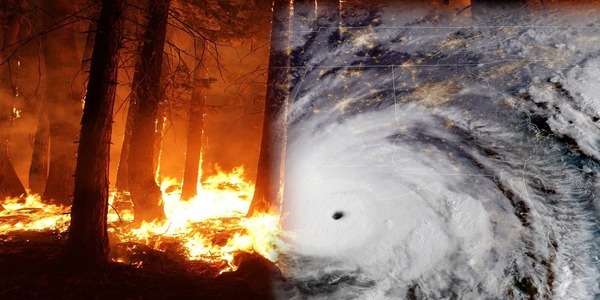 Though there were many hurricanes that did end up developing, only two ended up bringing devastating impacts across two different coastlines. Hurricane Florence was one of the two destructive storms of the season. It developed during the early months of September, barreling its way across the open waters of the Atlantic ocean. Though the system wasn’t categorized as a “Major” hurricane at landfall, its unusual track allowed it to slow down and parallel the Carolina coast. This slow moving system was able to dump 20 - 30+ inches of flooding rainfall and bring damaging storm surge in multiple locations. Hurricane Michael closing in on landfall near Panama City, FL. Hurricane Michael was the second notable storm of the season, which actually developed a month later. What made this storm dangerous was its rapid development and intensification. Unlike Florence, which took over a week moving across the wide open waters of the Atlantic, Michael developed over the Gulf of Mexico and became a major hurricane in a matter of days. The storm made landfall along the Florida Panhandle as a borderline Category 5 Hurricane, bringing maximum wind speeds of 155 mph and knocking out power to 1.2 million people. Though rainfall was also impactful, the wind and storm surge up to 14 feet was the biggest cause of widespread damage. For some places along the coast, especially the small town of Mexico Beach, Florida, the wind and surge was enough to shred apart and level many houses and other structures. Over the past several years, people across the Western half of the United States, particularly in California, have grown accustomed to wildfires occurring at really any point of the year. With longer lasting weather patterns in recent years helping to induce dry conditions and gusty winds, these wildfires are becoming more common and widespread. That's exactly what happened in 2018, during the late summer and early fall months of 2018. Thousands of wildfires broke out across numerous states, with California seeing the hardest hit areas. The Camp fire and the Woolsey fire in particular were perhaps the most destructive across California. These fires brought billions of dollars in damage, with the Camp fire causing over 80 fatalities as well. The Woolsey fire was also far reaching, as it managed to spread into nearby Malibu, home to many notible celebrities. Photo from Nazareth, PA during the November 15-16th storm. The first "official" day of winter was December 21st, 2018. Unfortunately, the weather doesn't follow calendar dates, as a full-fledged snow storm impacted most of the Northeast with over a half foot of snow on November 15 - 16th. In fact, interior and mountainous areas of PA and NY even reported near a foot of snowfall! Why did the storm produce so much snow? Well the heavy precipitation dynamically cooled the atmosphere very quickly, changing any mixed precipitation over to heavy snow, which fell at rates of over 1" per hour. As with many early or late season snow storms, if snow is heavy enough, warm pavements will not matter...even during the day. As a result, rapid snow accumulation occurred on roadways, catching many people leaving work off-guard as 15 - 30 minute commutes lasted for hours with numerous accidents.